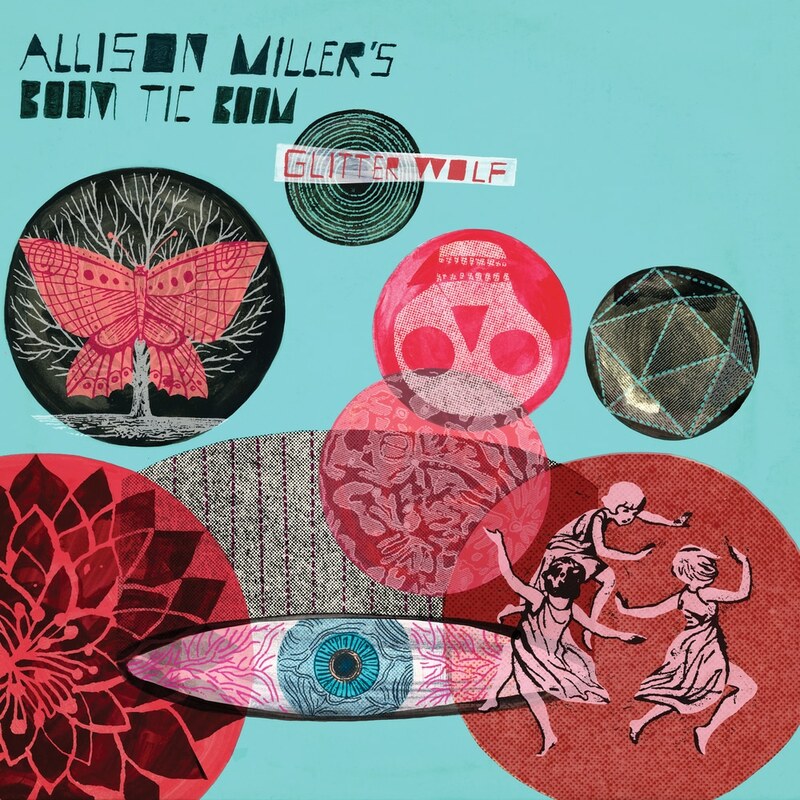 Indeed, Allison Miller’s Boom Tic Boom’s new studio album Glitter Wolf is defined by the drummer’s vision as a bandleader. With an unflinching devotion to progressive movement, the recording’s cinematic arrangements are reflective of organized chaos and an urgency to always move the music forward, while interspersing moments of introspection and sheer beauty. Produced by Julie Wolf (Ani DiFranco, Carly Simon), Boom Tic Boom hit the studio for the ‘Glitter Wolf’ sessions at the famed Fantasy Studios in Berkeley, CA following a two-year stint of extensive international touring. Tracks like “Congratulations and Condolences,” “Daughter and Sun” and “Valley of the Giants” are riveting and not easily categorized by genre as they commandeer spontaneous grooves and melodically rich compositions with a raw, but refined energy. On a spiritual level, Glitter Wolf was inspired by the collective need for community and self-acceptance in an incredibly unpredictable time. The music shimmers with the spirit of empowering actions such as the #MeToo Movement and Black Lives Matter, while the dichotomy between suspect governmental policies inspiring rightful protests; embracing the varying degrees of the feminine and masculine from within or living a fulfilled yet challenging life are reflected back in musical juxtapositions of space versus density. Miller’s trenchant writing and Boom Tic Boom’s soaring performances results in record that speaks directly to the zeitgeist of the moment.